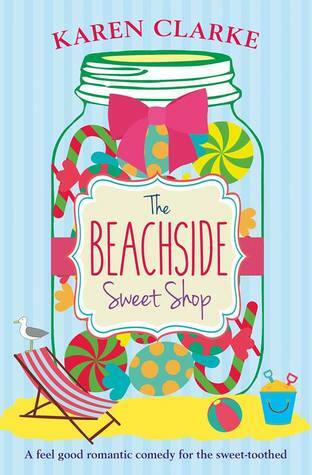 “Chocolate fudge, butterscotch and raspberry bonbons… treat yourself to some sugary treats, a big slice of friendship and a sprinkling of romance at The Beachside Sweet Shop. Here’s one book down on my TBR list, I feel accomplished. Romantic Comedies seem to be what I have been in the mood for lately; they are easy reads, I don’t have to think too much when I read them and most of the time the endings are heartwarming. I wouldn’t consider this a romantic comedy, more like a women trying to find herself and what she really wants. While yes I rated it a two , I still liked the story. Marnie was a good character who just couldn’t see what everyone else already saw. 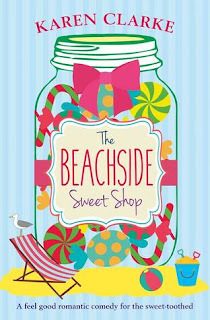 This frustrated me to no end, she just stubbornly refused to believe that refused to believe that she loved this Sweet shop. All her excuses that everyone seemed to point out to her was just her lying to herself. I think she just wanted to feel connected to her mother who was constantly travelling away from Marnie all her life leaving her grandparents to raise her. Her mother was another character who annoyed me, she was just so fickle, and aside from being able to make sweets just couldn’t seemed to be able to do anything. Marnie’s grand mother, Celia on the other hand was great. I loved her and wished that I had a grandmother like her. The romance angle was lacking. On one hand we have Josh who randomly comes along, like a savior and helps Marnie run the sweet shop. In the other hand we have Alex who is Marnie’s Ex-fiance who has moved to the states for a contracting job. While I did like Josh since there was a lot of him in the book, he was just so immature and obviously hiding something, which ‘Hello Marnie you should have been more suspicious!’ There just was not enough of Alex to warrant him being a contender besides Marnie’s lovesickness of being a part from him. There really should have been way more of him in the book to showcase why Marnie loved him as much as she did. Any information from Marnie seemed biased and too good to be true. The positive side was that I really disliked Isobel and her stupid, insipid ways. This made me root for Marnie to pull through and put Isobel in her place. I just wish there was a bit more of a consequence for her crusade against Marnie. I feel as if she got off very light. 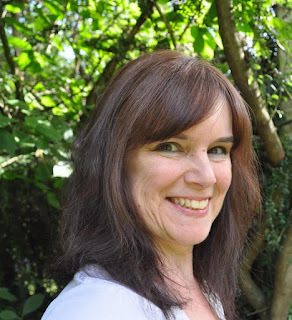 Karen Clarke Lives in Buckinghamshire with her husband and kids. She has worked a multitude of jobs including; Wedding Photographer and Pub manger all which has given her such great ideas for her work. She now currently writes full time. She enjoys walking and baking in her spare time.